Research, Outreach and Education with a difference! 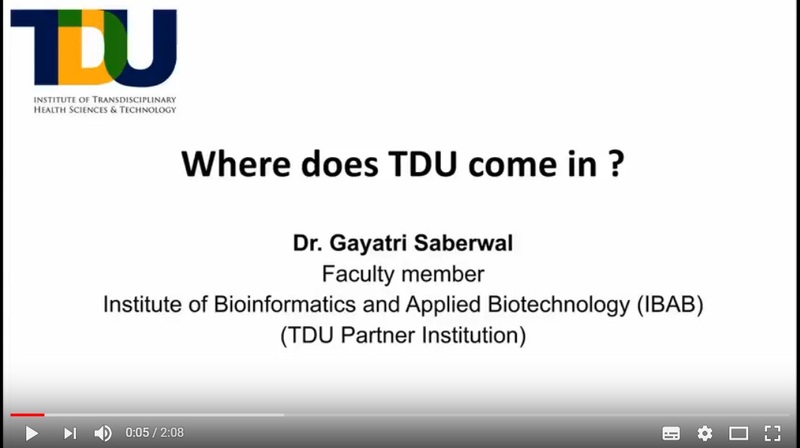 TDU was established as an innovation centered University focused on designing and delivering research, outreach and education focused on social transformation aligned to emerging and futuristic needs. 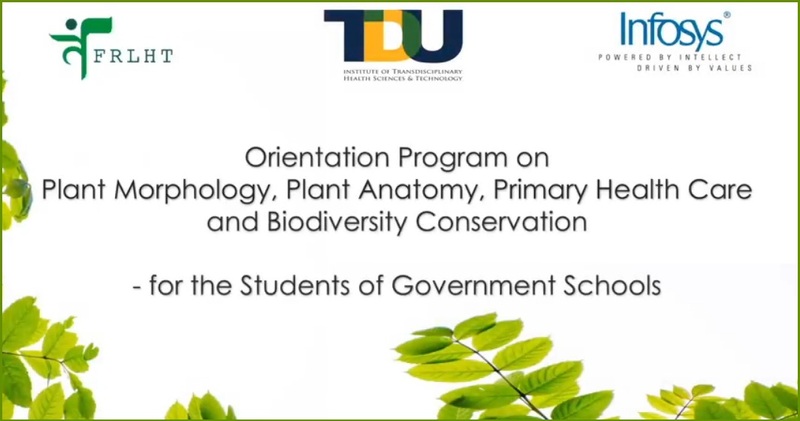 A first of its kind in India, TDU’s uniqueness stems from the fact that while the University itself has core strength in Ayurveda-Biology, Clinical medicine, Medicinal plants systematics, Plant Genomics, Data Sciences, Local Health Traditions, Theoretical Foundations of Ayurveda, Traditional Knowledge informatics and Manuscriptology, it has institutional academic relationships with outstanding knowledge partners in fields like Design (Srishti), Ecology and Environment (ATREE), Bioinformatics (IBAB), Conservation of Coastal, Marine and Mountain Ecosystems (Dakshin Foundation), Biological Sciences (NCBS-TIFR), Stem Cell Biology (InStem), Inter-disciplinary Studies (NIAS), Cinema (Suchitra), Public health (IPH), Education and Pedagogy (Poorna), Medical Research (SJRI), and Policy Studies (Takshashila). 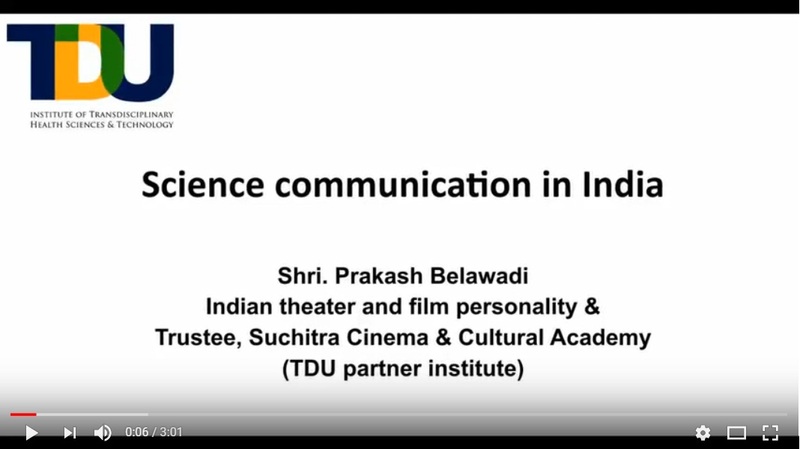 Thus, the TDU ecosystem has the capacity to offer programmes that combine subjects related to natural and social sciences, design, cinema, education, health sciences, conservation and fine arts. TDU uses a unique technology enabled, learning platform through its collaborative relationship with Xceler to deliver courses. This platform supports experiential learning, competency based assessments, internship options for students to undertake projects in community settings as well as national and international organizations. The University is thus aiming to set new standards for higher education and research. 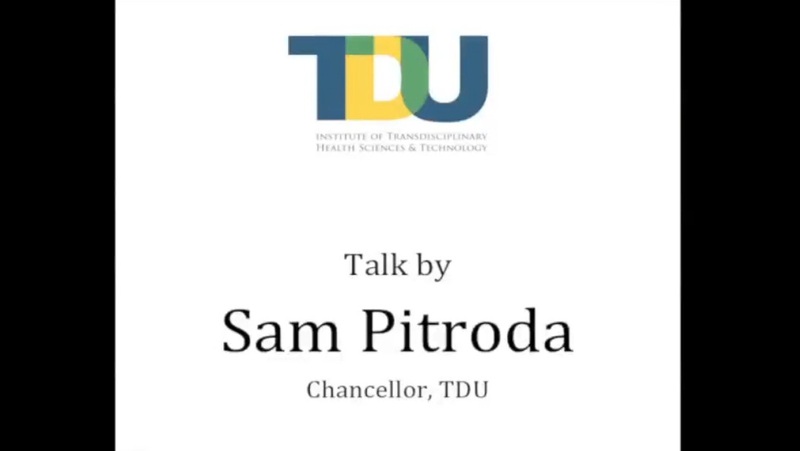 TDU provides uncommon opportunity to students and researchers to learn and undertake research in areas that correspond to its core strengths and that of its knowledge partners in fields such as conservation, life sciences, integrative health sciences, policy, education, bioinformatics, cinema, public health, ethno-veterinary science, information technology, art and design. 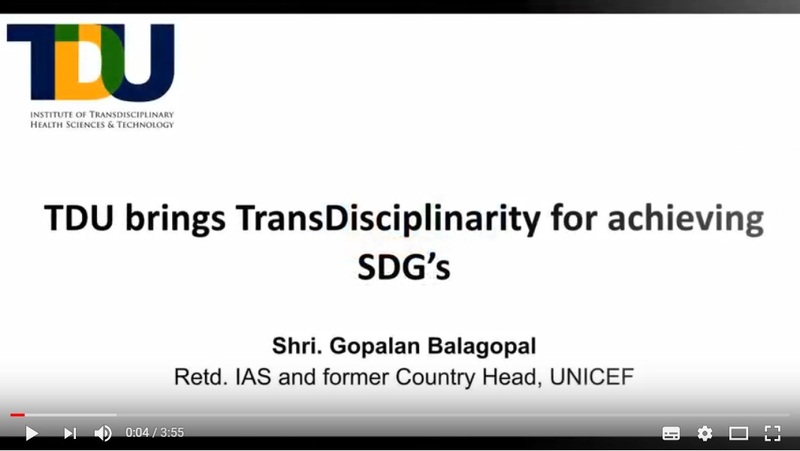 One of the unique features of research at TDU is that all of its focus is on combining improving knowledge and practice that is socially relevant and that provides the basis for national and international policy-making. The University aims to capitalize its unique methodology of co-constructing and co-creating new knowledge, and contribute to the education of a new generation of researchers and change agents in their own communities and on the world stage, through a focused and a large PhD program. 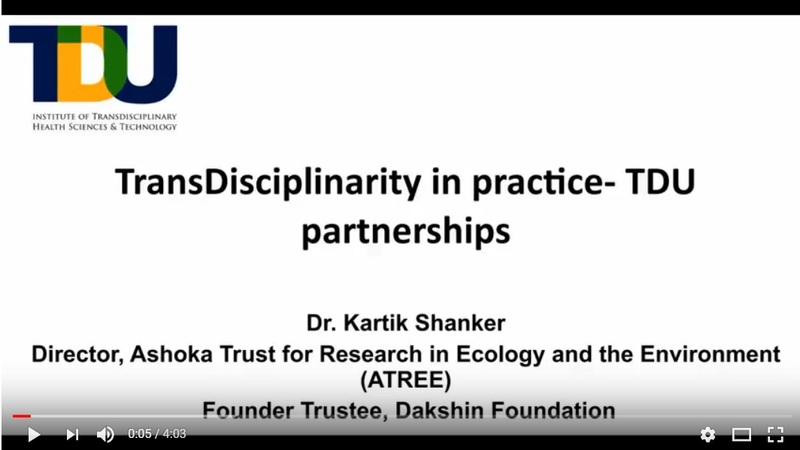 TDU offers Masters by Research program for students who have completed a Bachelors degree on subjects related to the focal areas of its Research Centres, namely Ayurveda Biology & Holistic Nutrition, Clinical Research & Education, Conservation of Medicinal Resources, Ethno-Veterinary Science and Practice, Functional Genomics & Bio-informatics, Local Health Traditions and Policy, and Traditional Knowledge, Data Sciences & Informatics. •	Proforma submitted to UGC by TDU, Bengaluru. •	Admissions for the PhD Programme 2018 at The University of Trans-Disciplinary Health Sciences and Technology are now open. The programme handbook and application form can be downloaded here! •	TDU offers both merit and need based scholarships to deserving students. Please contact Registrar Academics.